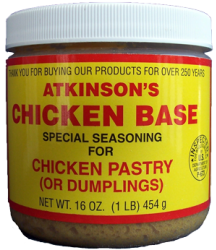 Even though it was originally developed to be a special seasoning for making Chicken Pastry (Chicken Dumplings), folks are finding all kinds of foods they like to season with this product. If you are making Chicken Pastry, you only use 3-4 oz. for a whole pot of pastry. You only need 1 teaspoon for every pint of a lot of other foods, including: any kind of greens, rice, pasta, potatoes, carrots, squash, brussel sprouts, turnips, peas, beans, corn, broccoli, cabbage, stir fry, etc. Basically, if you boil it, you will love this Seasoning! 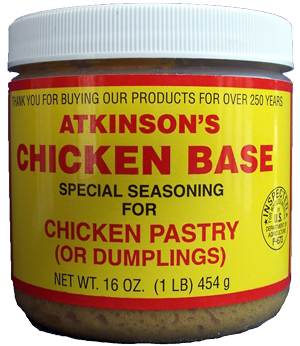 This Chicken Base Seasoning comes in a 1 lb., re-sealable jar.